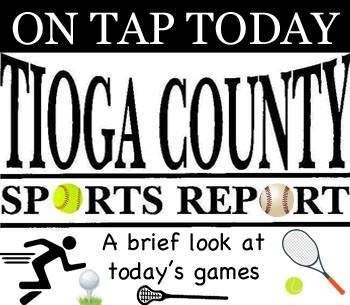 TIOGA COUNTY — It’s a relatively light day with the S-VE softball team and Owego boys tennis team hosting the only home events. Trumansburg (1-2) at S-VE (1-1), 4:30 p.m.: The Panthers are coming off a 4-1 victory over Moravia. T-burg’s last outing was a 3-1 loss to Moravia. Newark Valley (2-1) at Watkins Glen (2-0), 4:30 p.m.: The Cardinals are coming off a win over Waverly. The Senecas haven’t played since defeating Southern Cayuga a week ago. Vestal (3-0) at Owego (1-3), 4 p.m.: The Indians fell to STAC champion Ithaca Monday while Vestal defeated U-E Thursday. S-VE at Horseheads, 4 p.m.: The Panthers and Moravia visit the Blue Raiders at Willowcreek Golf Club in Big Flats.